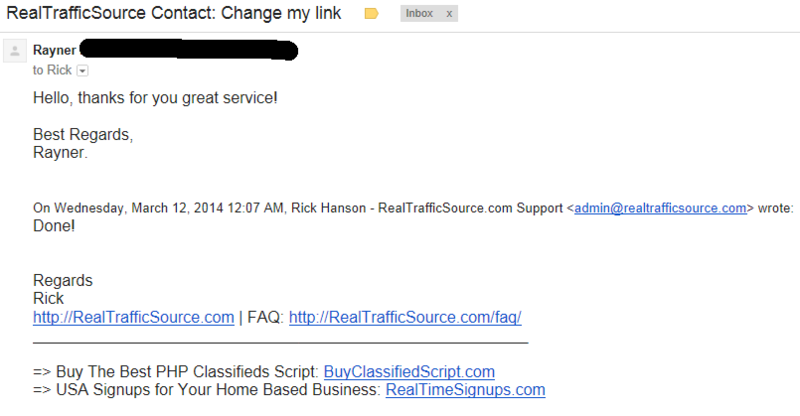 Here we have gathered real customer realtrafficsource reviews. None of these realtrafficsource reviews are paid reviews – only honest feedback. Click here for external reviews. “I’m very impressed with you the service real traffic source offers. I will keep using their service for a long time to come. I came to this site looking for a better way to get steady visitors to my site, but what impressed the most is the prompt customer service they have to offer. I never seen this kind quick response in any company online yet.